In terms of a mounting, yet preventable, human tragedy, global warming is the greatest ecological hazard, most complex in its socio-economic effects, and easily the most morally contentious problem human societies have ever faced. It is a persistent, pervasive and prevailing problem. The current pace of carbon dioxide increase is higher than it has been in the past decade. This increase exists because of the irreversible momentum of warmer temperatures feeding a compromised existing ecological situation. Today green house gas content of the atmosphere is increasing at 2 ppm in heavy pollution years and 1.7 ppm in good years. The ubiquity of the air and oceans as they influence life and economies around the world, and the relentless rationale of everyone maximizing their own best interests at the cost of degrading the commonwealth exacerbates these recent increases in carbon dioxide. Through destabilizing the natural greenhouse effect on Earth, pollution from fossil fuels has changed the weather, melted glaciers, flooded arctic coastal areas, and thawed permafrost across Siberia, Alaska and Canada, thereby altering the chemistry and biology of the Arctic Ocean. By commonwealth, I refer to the capacity of forests, farmland and fisheries to supply an unprecedented population with the necessities of life. By a relentless pursuit of our own self-interest, I refer to the means by which advanced industrial nations or automated economies compete to sequester fuel, materials and food in order to keep down the cost of living while increasing a growing demand for consumer products, luxuries and services. As we approach the end of the first decade of the 21st century, the annual increase in the discharge of carbon dioxide into the air is above two percent. At that rate, the amount of CO2 on Earth will double in 35 years or 2040. There is more CO2 in the atmosphere than at anytime in the last 650,000 years. Based on ocean circulation and the rapid movement of air, this problem of an enhanced greenhouse effect on Earth will touch the lives of people for centuries to come. 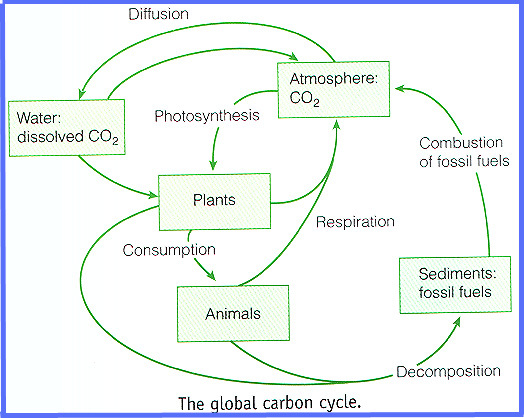 That is because of the variable residence time of CO2 in our air. This means that the waste gases we generate today can remain active, trapping radiation and releasing long wave energy or heat for a century or more. 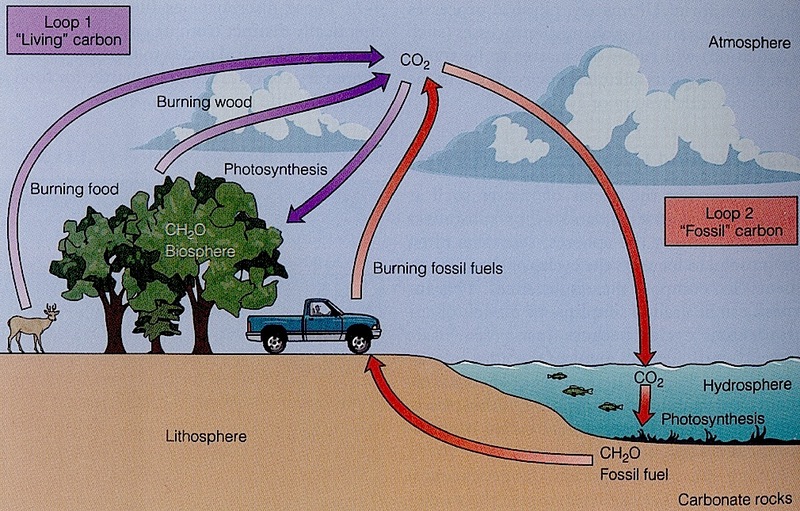 CO2 stays active in the atmosphere long after it is generated. The present momentum is due to an unprecedented immediacy and prolonged rise in CO2 over the past 200 years. The fossil record does not reveal a precipitous rise in the rate of CO2 accumulation since middle of the Wisconsin Ice Age, 20,000 years ago. No human civilization has ever encountered either the levels or the brisk rate of accumulation of greenhouse gasses in the seas and the air. The principal causes of this rapid increase in pollution are from combustion of fossil fuels for electricity and transportation in industrial countries and deforestation worldwide. The loss of vegetation to absorb the increased emissions of greenhouse gases exacerbates the thermal capacity of the air and the oceans to retain additional radiation and release it over time as heat. What will more people bring? With 7.1 billion people now demanding fresh water, adequate shelter and sufficient food, fuel, fiber and freedom, there is no worse time to confront such an unprecedented change. Around the world fifty to seventy percent of the people on Earth, live in the narrow coastal zone within fifty miles of the seas or oceans where salt water is eating into fresh water supplies. Whole nations in the Indo-Pacific Oceans will be submerged as ocean thermal expansion, already underway, continues into the next century to displace coastal areas. With a growing burden of increased consumption, scientists already predict the largest loss of wildlife and fishery species since 10,000 years ago when the mammoth, ground sloth and North American camel faced extinction. We can meet these challenges by adopting techniques already in use, or we can deny the reality of a warmer atmosphere.